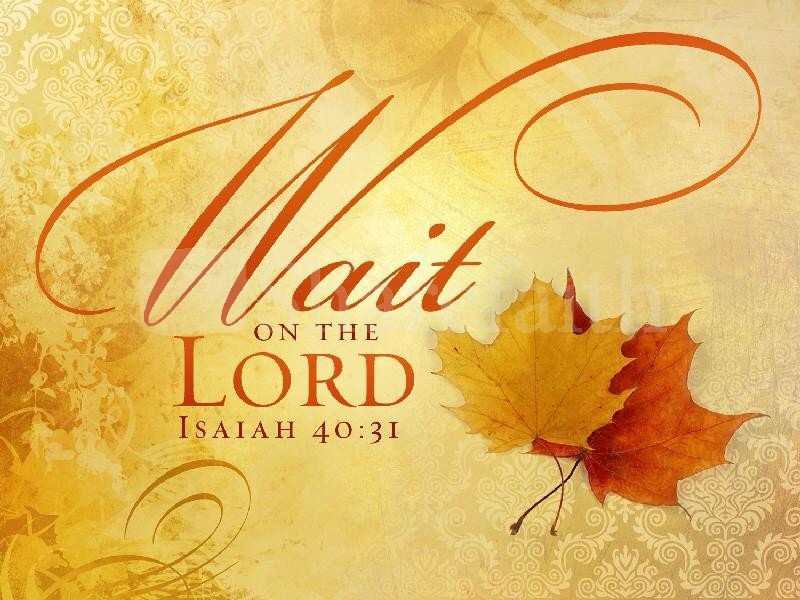 What does it really mean to wait on The Lord? Can I wait on Him even when I’m not at the place where He sees me? Can I wait on His promises even though I cannot physically see them yet? Every time I get discouraged, or grow impatient He reminds me of the message DaFruits of Joseph The Great Dreamer. Joseph had a great dream a dream revealed by God, but this dream only became a reality because Joseph chose to believe God. Joseph must of been a very patient man. How can you still believe when your own blood brothers throw you into the bottomless pit? How can you still believe when you are falsely accused and thrown into prison? But Joseph did, Joseph believed God in every situation. You see each and everyone of us has a great dream, and that great dream is the perfect predestined will of God. Since that great dream has been perfectly predestined preordained by God it is our blessed assurance that, that dream will become a reality. What The Lord is saying is that we must learn to wait on Him, we must learn to focus on Him. Can you focus on God and still believe Him even at the place that you are right now? Will you have that great faith like Joseph had for that great dream that he refused to let go of? If Joseph could overcome the bottomless pit, (the place of hopelessness), if Joseph could overcome the prison(the place of hopelessness), surely we must believe that through Christ we can overcome anything. With great dreams comes great faith. We must have great faith to get to that place of greatness. Remember that The Lord is our constant friend, He is our constant helper, do not be discouraged! When challenges arise just know that you are getting closer and closer to where He wants you to be. You will be where He has perfectly predestined you to be but first you must go through the process. Trust God, don’t give up on God don’t give up on your great dream. Remember that even if nobody else believes in your dream God does, and that’s all that matters. Focus, listen to Him and follow His lead. Wait, focus, believe that great dream, and live in God’s reality. Remember that it really does not matter about the place that you are right now, forget about where you are right now, and look to the place where God Almighty sees you! You might see least but like Gideon The Lord sees a Mighty Warrior. Go, and go in the strength that you have because The Lord has predestined greatness for you!! ‘Don’t look to the bigness of your circumstance, look to the bigness of your GOD. You know when it comes to your future goals, and your dreams. Listen to advice, but stop listening when the advice makes the dream smaller, your dream should not be narrowed down to the norm. Do you know that God is bigger than what people say? Our God is a big God, When God speaks he speaks big, God never speaks small. So don’t you dare speak small or allow anyone else to speak small into your destiny. Do not be discouraged things might not always go to plan, but have faith, we serve a mighty God, whose favour supersedes the impossible, do not fear trust in The Lord. With God all things are possible. I believe God has put this in my heart because I was afraid, people may not believe in you, they may think there are limitations to your ability, as far as you are a child of God there are no limitations to your ability. You can do all things through Christ who strengthens you. People will doubt you, they will doubt your dreams, but seek God, be steadfast in prayer, your beginning will be small, but you shall surely finish BIG! Our God is the beginning and the end, the lifter of your head, the author and the finisher of our faith. There is nothing to difficult for God to handle. It’s amazing what praises can do, praise your way through the storms, and don’t worry when things go wrong laugh in the face of the enemy, for God has already made you victorious, you will have every reason to rejoice.